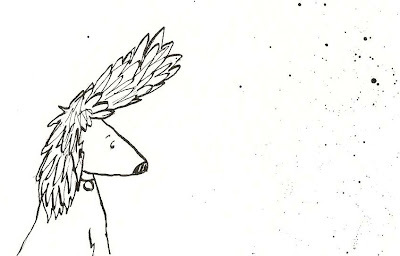 Needless to say Badger and his ears feature prominently in my new ideas and sketches. I finally finished my a -z of boats. After loads of research I have a full alphabetical list. I only did 2 colour screens for 2 reasons really - 1. to save time (deadlines are approaching) 2. I wanted a silhouette look for the images so the first colour is quite dark with the line on top. After Pam's advice I used my dip pen on the screen and cringed every time it scratched across the surface but it worked really well and I got the really narrow line I needed. I drew the boats from images - mainly google images some from photos - from the screen into my sketch book or on paper and I then re sized my drawings using the photocopier﻿ and then traced over these using a narrow drawing pen. Once I'd done that I copied them again and adjust the sizes again and stuck them all onto a A2 sheet ready for me to copy onto the screen. All in all I'm quite pleased with the results but do now wish I'd tried a lighter colour for the first colour as well as the blue and turquoise. I'm not quite sure what to do with it now - to leave it and submit it as is or whether to scan the images and create a little Alphabet book from it - all suggestions welcome!